We are filled with joy to be kicking off another year for the teens at Marion Baptist Church. 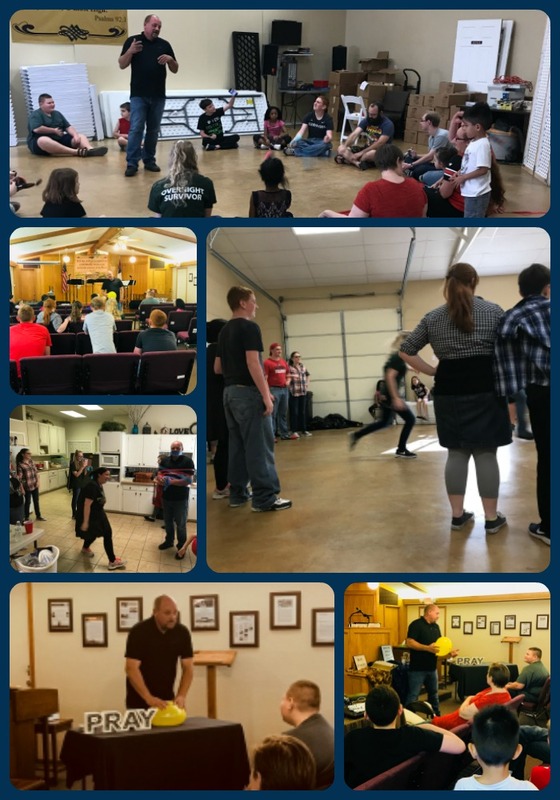 Pastor Aaron lead all of the teens through a day filled with Faith, Standing on the Word of God, combatting peer pressure, and lots of fun games and laughter! Some of our Instruments of Praise members lead us through worship and Daryl Huff shared his own testimony and Faith with the students. Churches from nearby were invited to join in the day. If you are interested in joining in youth activities, check the calendar for upcoming events. Or leave a message at the church and someone will get back to you. Teens also meet at 9:30am on Sunday mornings for a Bible Study and 10:30 for our Worship Service.